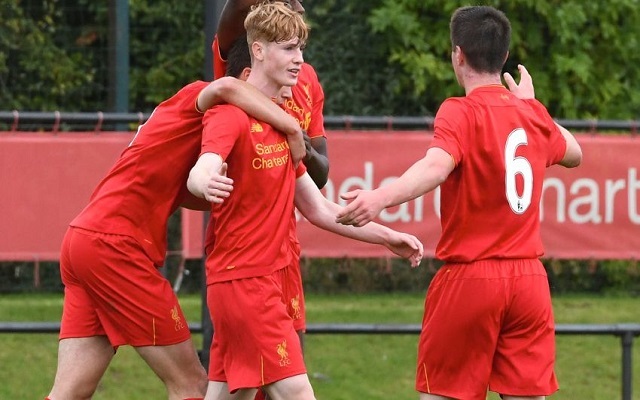 Liverpool U18s beat West Brom 2-1 last night as they recorded their second successive victory. Glen McAuley was the hero as he scored twice to secure the win. We can play a lot better but we’ll take the win. “We started well and were 2-0 up before West Bromwich Albion pulled one back just before half-time. “Glen did really well again and scored two good goals and he could have had four himself”, said U18s boss Neil Critchley. The result marks a second successive away win for the young side after they beat Newcastle Utd 3-1 two weeks ago. It hopefully marks the start of some improvement – we had lost the previous two games including a 4-1 home defeat to Everton in the mini derby. Liverpool U18s: Kelleher, Lewis, Owens, Masterson, Johnston, Coyle, Camacho, Hunter, McAuley, Brewster (Simmonds 80), Dhanda.